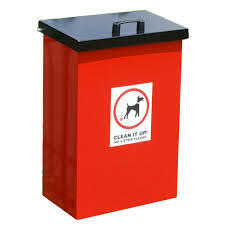 Dog Bins are provided throughout the town and on the recreational grounds. you can also put bagged dog waste into any of the public litter bins. They are emptied by Amber Valley Borough Council, who are also the responsible body when it comes to imposing fines, clearing up, etc. Find out more or report an incident of dog fouling here.